As known, Netherlands-based banking giant ING published a customer report recently where it was declared that Turkey is the leading cryptocurrencies owner among all European countries. The fact that the people in Turkey are heading to more technological innovations and current economic circumstances serve as an increasing factor for it. Investors and engineers, mostly from the Middle East and Central Asian countries as well as from Turkey, who are interested in blockchain and who deal with cryptocurrencies will be participating in this conference. Attendees will better understand Blockchain, the greatest technological and financial revolution of the 21st century, with the expression of expert speakers in the sphere. 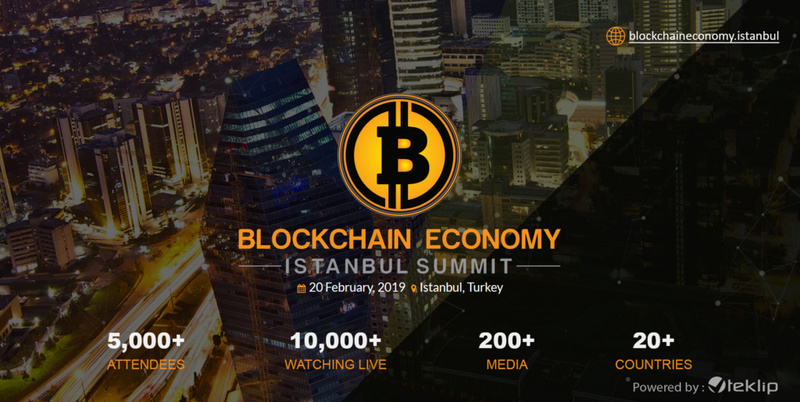 Thus, "Blockchain Economy Istanbul Summit" rolls out the distinction of being the largest-scale event of the region, ever held in this field. More than 5,000 attendees from 20 countries will attend the conference and more than 10,000 people will be watching live. By associating investors, entrepreneurs and professionals for discussing current cryptocurrency market and future of blockchain technology. International Blockchain & Cryptocurrency conference, will be held on February 20, 2019, in Istanbul, Haliç Congress Center,Turkey. Panel Discussion: Will States Make Peace with Cryptocurrencies and Blockchain or will They Struggle Against? Bitcoin and the Other Cryptocurrencies: What are the Investors’ Next Step? The Famous Wall Street Analyst Tom LEE at the Blockchain Economy Istanbul Summit! 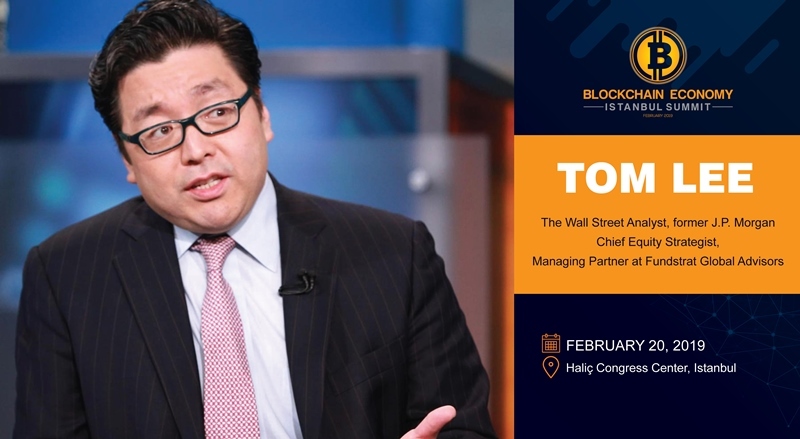 The Famous Wall Street Analyst Tom LEE, who is very well-known with his significant role in Blockchain economy and definite predictions on Bitcoin prices, is coming to Istanbul. Tom Lee is taking a stage at the Blockchain Economy Istanbul Summit as a key speaker and is going to share with the attendees his price predictions, his prognosis about the further steps of Bitcoin investors. You are invited to the International Conference that will be held in Istanbul to listen to Tom Lee’s speech about the future of Bitcoin. Moreover, you can understand the Blockchain technology deeply and obtain more ideas on your investment plans. The tickets are on sale now for this conference which will have more than 5,000 attendees from 20 countries of Europe, the Middle-East and the Central Asia in addition to 10,000 audience watching it alive.